Yes, this will have a thin metal insert in the back of the insert to provide more support. This insert is removable if you feel like it is causing too much support. Hello Joe! 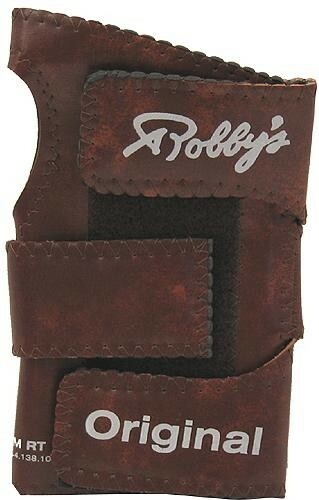 You will want to get the same size glove as you would normally wear for a winter, golf, cleaning glove, etc..
Due to the time it takes to produce the Robbys Vinyl Original Brown Right Hand ball it will ship in immediately. We cannot ship this ball outside the United States.